Take a tour to the Great Salt Lake! The largest of the Great Salt Lake&apos;s 9 islands, Antelope Island offers several recreational activities sure to attract any outdoor enthusiast. White sand beaches are perfect for sunbathers and picnickers while hiking and biking trails provide unique experiences. The island is home to several species of animals including deer, bobcats, bison and of course antelope. A visit to the island could include hiking or swimming followed by an American barbeque on the beach. 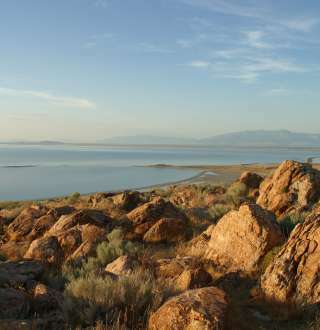 If your group wants to see and feel the Great Salt Lake, here&apos;s their chance!